Good ecological design incorporates many different processes. A thorough look at the site through prolonged observation is invaluable to achieving a harmony between the natural system and the goals of the landowners. Permaculture thought by many people to be a form of organic gardening is much more. 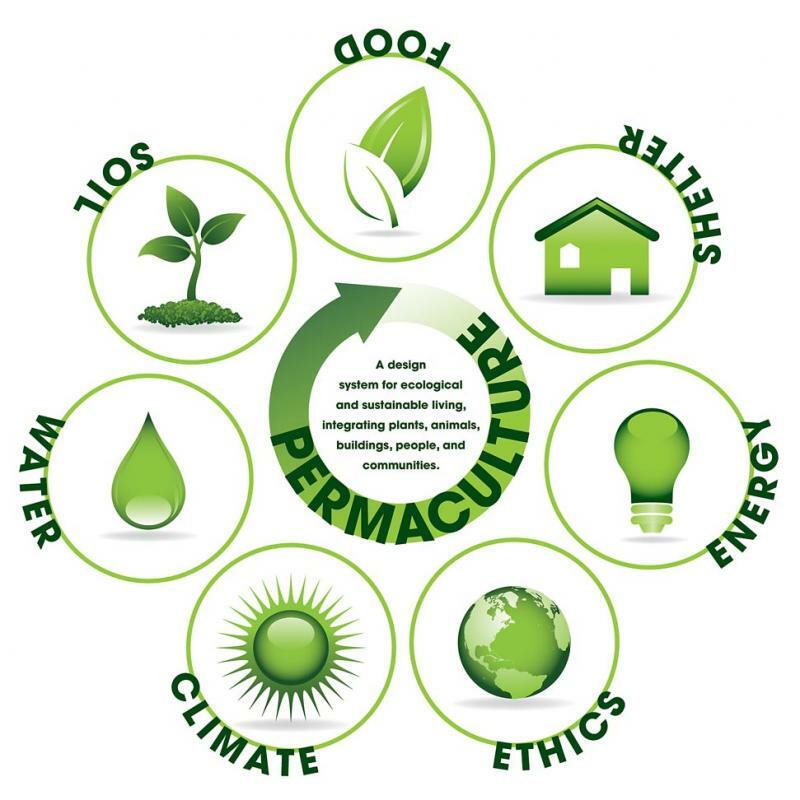 Permaculture is a design tool as well as a system of ecological living striving to incorporate age old traditions and modern technology to create a permanent agriculture/culture. 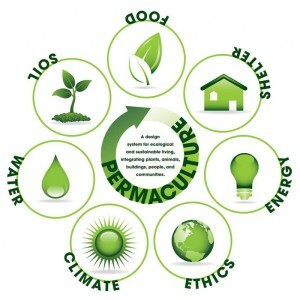 The permaculture model gives us a good set of tools to work with to balance harmony, beauty and productivity on the site. We offer our extensive experience to help clients clarify goals, make good observations and plan the various elements of their landscape. 1) On-site walk through of your property. We listen to your ideas and vision for your property. Based on the direction you want to go we offer suggestions for your site through an ecological lens and answer questions. We discuss possible directions for the site. We do a report of the walk-through and send you a copy. 2 hour minimum. $300. 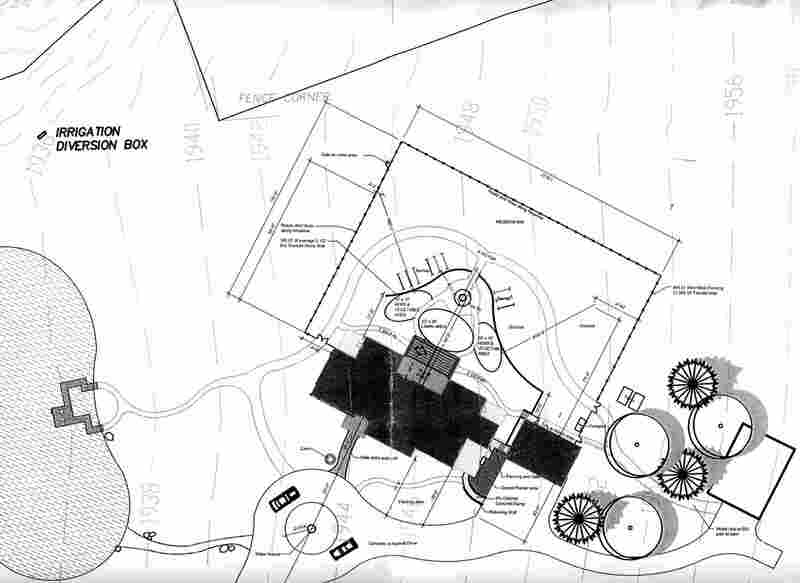 2) Site inventory and design plan. This includes the walk-through plus additional meetings to determine a design for your property. We’ll look at soil building, water systems, plant communities, energy and the buildings on your property. We will do a site inventory as well as design drawings to work from. 3) Complete design with working drawings and implementation plan. This includes 1 and 2 plus a way to get from the map to the landscape. We can also do some or all of the implementation for your plan. 4) Master planning of your home or farm, with a team of professionals to do a full scale design and installation. This includes all of the above services as well as bringing in other landscape designers and construction professionals to cover all aspects of your design. This would cover the building design, energy(off-grid potential), food, water, ponds, animal systems and the human(social) aspects of your project. 5) Site specific design and installation. We can work with you to install elements of your project plan. This would include but not limited to, water harvest systems, food forests, organic gardens, shade gardens, greenhouses, and irrigation systems. The project cost would depend on services and materials.